The world premiere of the unique project of Patricie Antar Poráková and Jakub Jedlinský offers a captivating view of our own souls in the form of a music and dance story. Tango enables us to explore our souls and all the emotions we encounter. It is a dance. It is a way of life. It must be experienced in order to believe it. This is your chance now. Expect an original mix of classic tango and unique compositional creations accentuated by sound and movement actions and lighting design. See all Prague´s classical music. 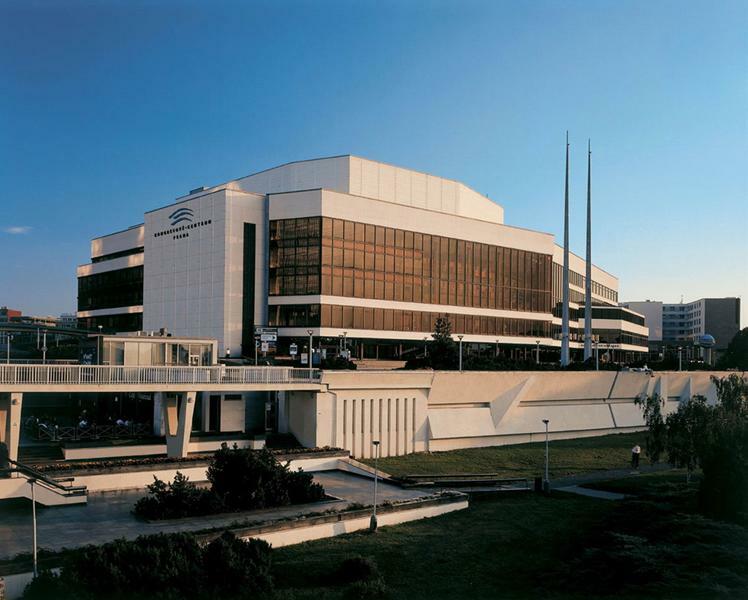 The Prague Congress Centre (PCC) is frequently recognized by participants of international congresses as one of the best located venues in the world. Why? The reason is simple – many admire the breathtaking panoramic views over Prague with the Prague Castle as the centrepiece. The building itself is a unique example of neo-functionalist architecture designed for optimal functionality and flexibility. There are over 20 halls, 50 meeting rooms and the capacity is around 9 300 people.